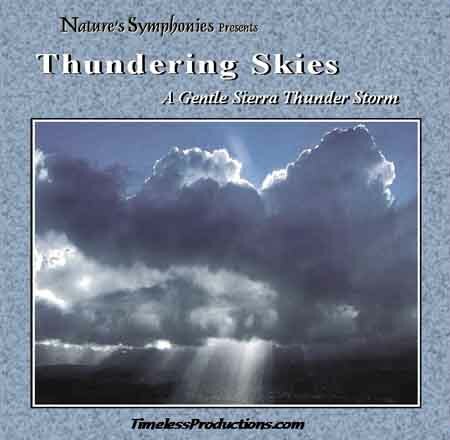 All of the nature recordings for this album were recorded during a single storm as it passed through the Sierra Nevada foothills at my home in Garden Valley, CA. The storm began gathering just before dusk and continued on through the next morning. We start at the creek that runs beside the house then retreat to the deck as the storm arrives. The following morning is spent under the canopy of trees behind the house and I was never more than 20 to 30 feet from my home to capture all of the recordings.